Tis the season to be jolly! Fa la la la la! It's safe to say that Christmas is nearly here. If you're struggling to purchase a gift for your wife, your mom, your best friend, your aunt, or whoever she is, fret no more. I have the essential guide on Christmas gift ideas for her. There's something for everyone! We have a variety of items here that you can tailor to the needs & wants of the women in your life. All of these gift ideas are quite affordable so you can mix & match a couple items to create a lovely & personalized gift. Let's get started because Christmas is coming! Crystal Lake Arrowhead Necklace* - How gorgeous is this necklace from The Sun & Moon Co.? I'm pretty much drooling. This handmade necklace is made to order, so you can customize the size, the length, etc. This is the perfect Christmas gift idea for women who love style & want a bit of glam in their life. She'll get loads of compliments. 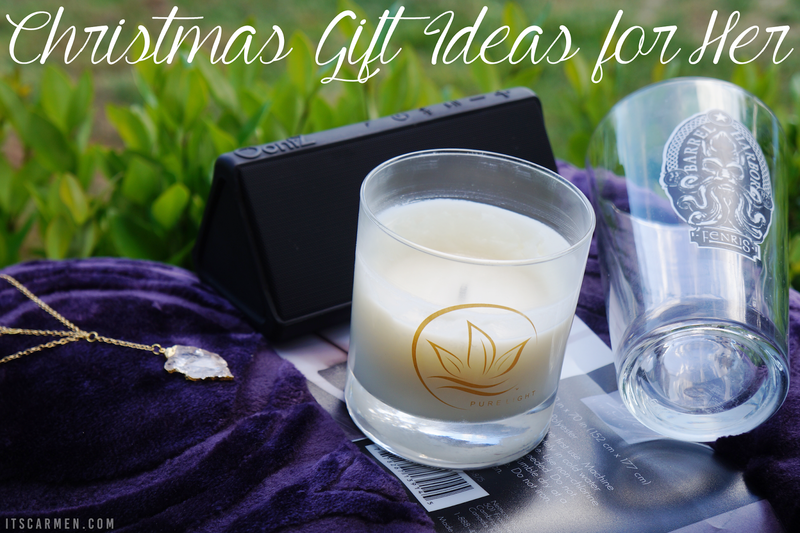 Serenity Pure Light Candle* - You'll see candles on nearly every Christmas gift guide because they are always the right choice! 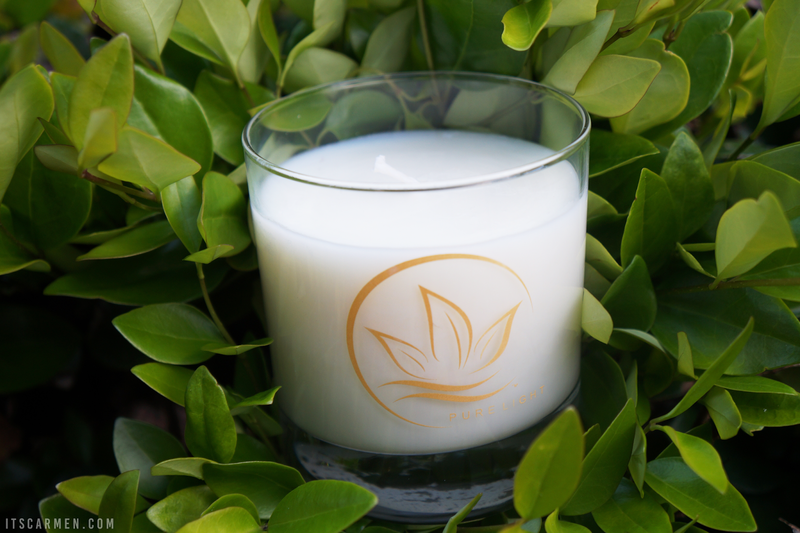 The organic aromatherapy candles from Pure Light have such powerful scents. Serenity is a soothing mixture of lavender & vanilla. The best part is that you can also use the wax as a moisturizer! Velvet Throw Blanket - Chilly temperatures follow as winter approaches. Don't let your lady friend go cold this season. A blanket is the perfect Christmas gift idea for her because there is something so cozy, comfortable, & warm about a velvet throw. She can use it anytime of the year if the weather permits. 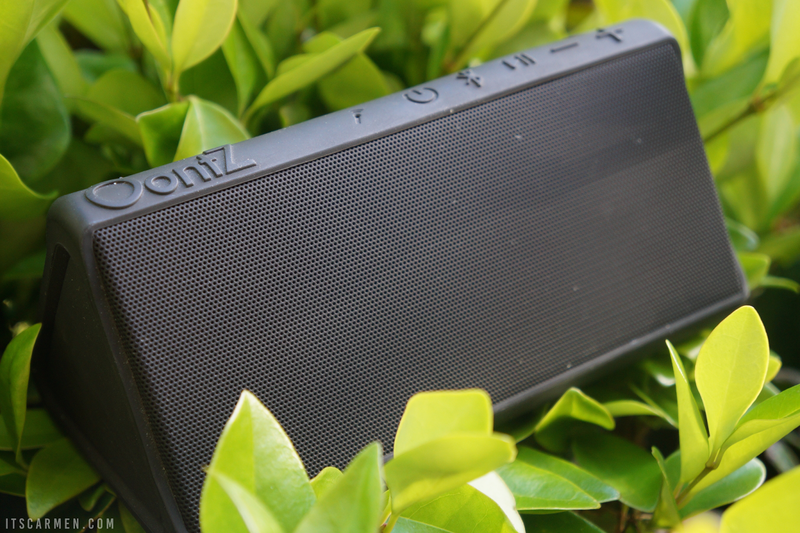 Portable Speaker - For the most part, portable speakers are relatively inexpensive. They are functional, easy to use, & lightweight. I've used mine a countless amount of times because it's genuinely useful. Take it camping. Bring it along on a picnic. Don't forget it during girl's night. It's the ideal travel companion! Beer/Wine Glass - Get her something she can use over & over again. 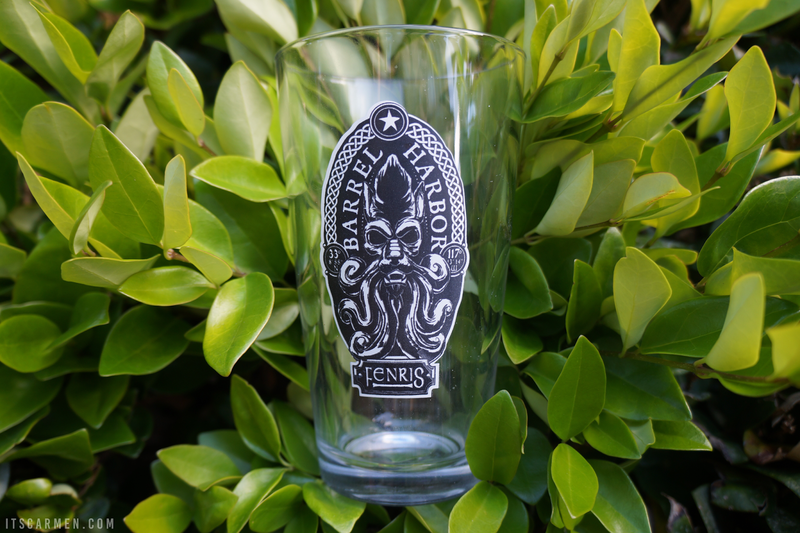 I love advocating for local breweries by purchasing a pint glass so I can sip & support from home. Buy a beer glass, wine glass, scotch glass, apple juice glass or whatever glass suits her drink of choice. You can back a local restaurant or company or you can find something that matches her taste online. That necklace is absolutely gorgeous, love it! Carmen, these are such great ideas! I love the idea of a portable speaker just because I cannot live without my music. That necklace is stunning, too! Candle is the right choice! The throw! Love that color. What gorgeous gift ideas. For Christmas, I always feel like you can't go wrong with a candle. I'd love to get that! That necklace is absolutely gorgeous!!! Candles are a great go-to gift... That one is especially beautiful though! Thanks for sharing! Great ideas, and I love how you utilized the pumpkin as a display, so cute and creative! 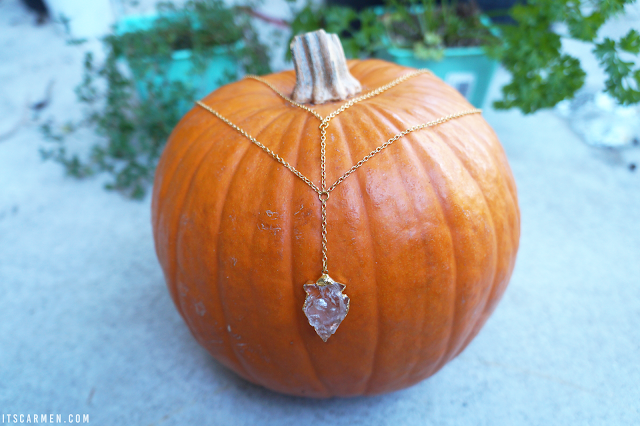 The crystal necklace is absolutely stunning!!! Wow that necklace is beautiful! I want! I love a good, cozy throw! So comforting. These all look like fantastic gifts! Nice work with this list!